The Men Who Stare at Goats was meant to be the hilarious film that blew the lid off a top-secret wing of the US military that harnessed paranormal abilities in the fight against its enemies. 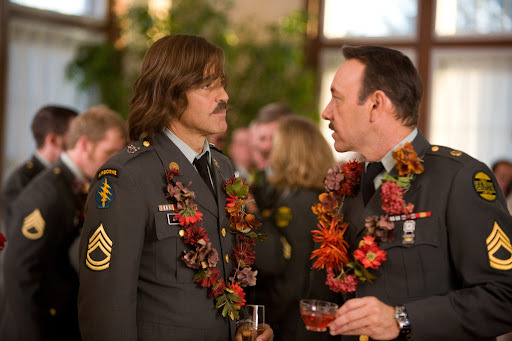 There was no way that an all-star cast of Ewan McGregor, George Clooney, Kevin Spacey and Jeff Bridges could go wrong and the ensemble cast should have ensured first class comedy for the discerning movie fan. 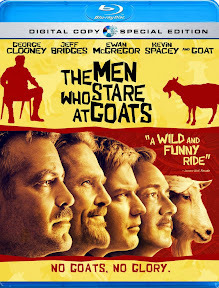 It is no surprise the that I had high expectations of the film and was really looking forward to seeing it but I have to say that The Men Who Stare at Goats just didn’t work for me at all. Click on any of the photos for full resolution stills. 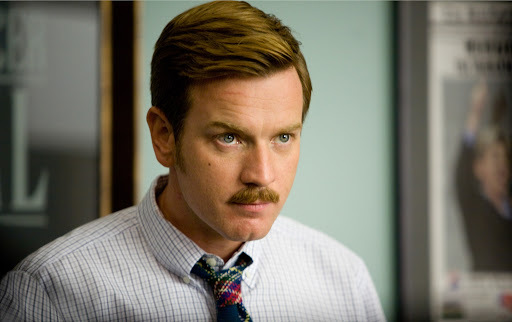 Ewan McGregor is Bob Wilton, a reporter from Ann Arbor. 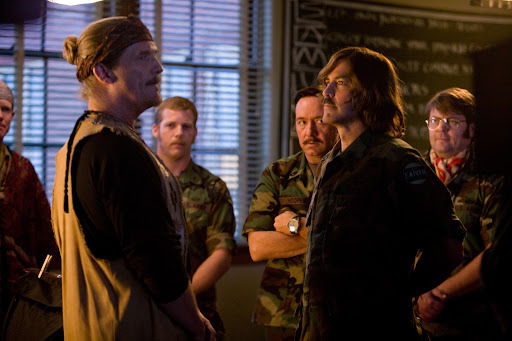 The film begins with him interviewing Gus Lacey, an ex-military man who claims to have been in a secret unit that investigated psychic abilities. Wilton brands Lacey as crazy and soon forgets about him. 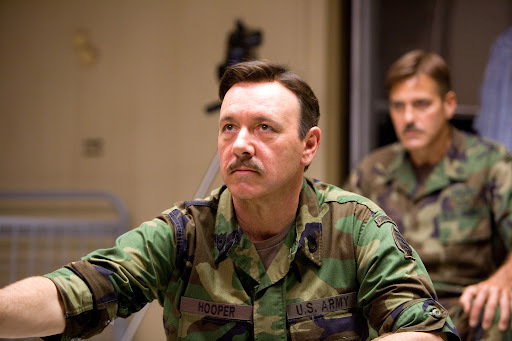 When a colleague at the paper suddenly dies and his wife leaves him for his one-armed editor, Wilton leaves for Kuwait in a fit of anger hoping to get into Iraq during the Gulf War. 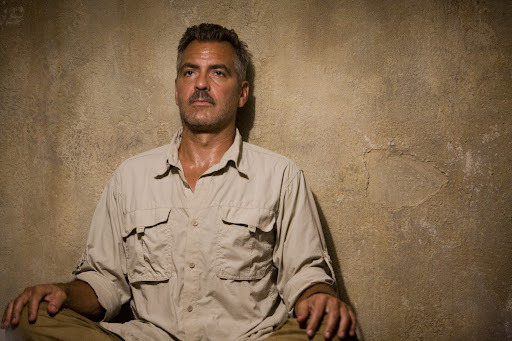 In Kuwait, he meets Lyn Cassady (played by George Clooney) and remembers his name from his interview with Gus Lacey. Cassady was in the secret unit, known as the “Jedi Warriors” and he soon reveals that they were involved in a host of paranormal activities including cloud bursting, remote viewing and walking through walls. I usually love films about the paranormal and have no problem stretching my imagination and suspending disbelief but The Men Who Stare at Goats is not about that. 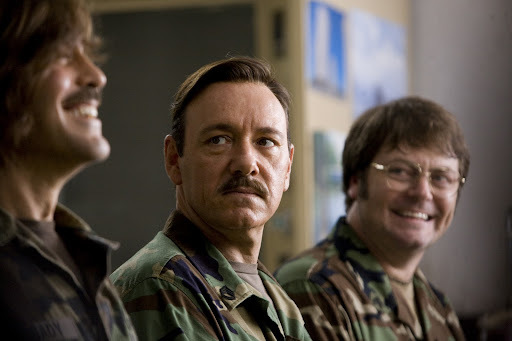 It is a slapstick comedy about supposedly real life events and a bizarre plan to end war as we know it. 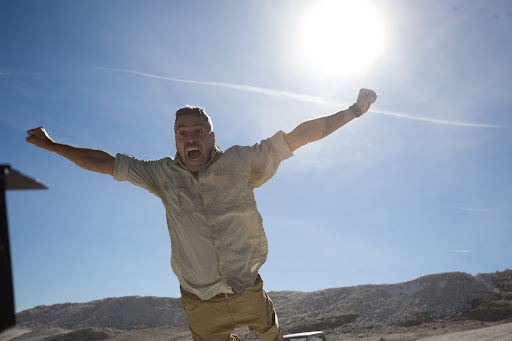 I hesitate to compare one film to another but The Men Who Stare at Goats seems to try so hard to be a Coen brother film complete with dream sequences, weird animals and endless dialogue but it ultimately fails to deliver. It is really hard to buy into some greater moral message when a film deteriorates so severely into the silly and ridiculous. Featuring desert vistas, the jungles of Vietnam and the streets of urban, war torn Iraq, The Men Who Stare at Goats is perfect for the Blu-ray format and features an impressive MPEG-4 AVC 1080p video quality. The visuals are great and are no doubt aided by the excellent costume design and makeup as the story flits between the 1980s and the present day. The Blu-ray also features Dolby TrueHD 5.1. audio which I sometimes prefer over the currently favored DTS-HD Master Audio. 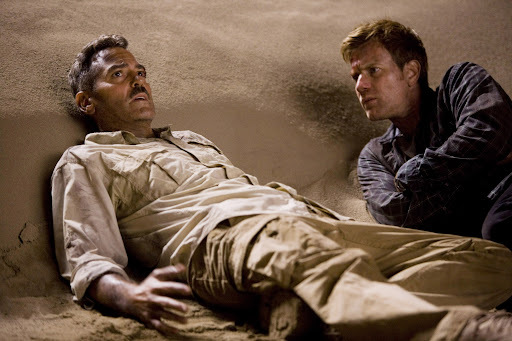 The audio certainly coped with the various transitions between dialogue, music and action scenes and picked up on some impressive aspects of the scenery. The Blu-ray release features commentary tracks with director Grant Heslov and author Jon Ronson. It also includes two featurettes which delve into the truth behind the story and the real events upon which the film is based. They are 'Goats' Declassified: The Real Men of the First Earth Battalion and Project "Hollywood": A Classified Report From the Set. In many ways these featurettes are more interesting than the film itself. The final feature is a set of character bios which takes a look at the main characters in the film. 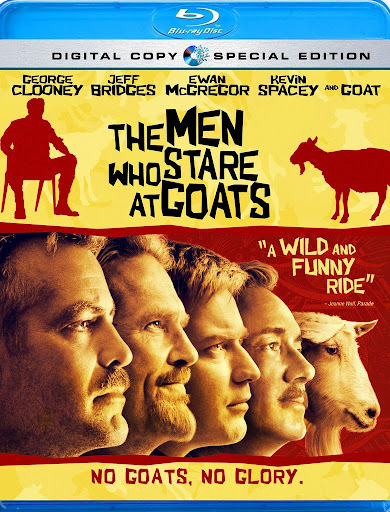 I really wish The Men Who Stare at Goats had been better but I don’t think that it was high expectations that ruined the film. What a disappointment! I give the film 1 out of 5 stars for good cinematography and video quality. Buy The Men Who Stare at Goats from Amazon.co.uk and receive free delivery anywhere in the UK. Article first published as Blu-ray Review: The Men Who Stare at Goats on Blogcritics. I also really wanted to like this but found that despite the top notch actors, I had very little from the film to make me care about it. @ Brent: I know what you mean - part of it was too slapstick and the other part I just didn't care about.